Find a new Dodge Challenger at your local Anchorage, AK Dodge dealership. View NEW Dodge Challenger Inventory	Looking for a USED Dodge Challenger? Overview At Anchorage Chrysler Dodge Jeep Ram Center, we have a full lineup of powerful Dodge vehicles, including full-sized sedans, spacious SUVs, and family-friendly minivans. 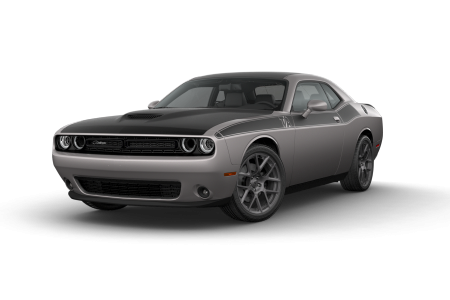 If high horsepower and performance is what you're looking for, check out the Dodge Challenger muscle car. With a stylish interior featuring advanced safety and technology features, driving will be fun in this modern car. Swing by our Dodge dealership in Anchorage, Alaska today and experience the Dodge Challenger for yourself with an exciting test drive. Why Us? Anchorage Chrysler Dodge Jeep Ram has put customers first for over fifty years. You'll get a Great Land best price guarantee on a full selection of sedans, SUVs, trucks, vans, and of course the incomparable Dodge Challenger. Our finance center is standing by to find the right loan or lease for your budget. Visit our Anchorage, AK Dodge dealership for a test drive you won't forget. The certified car technicians at our Anchorage, AK automotive service center will keep your vehicle in prime shape all year long. For a fast and thorough brake inspection, tire rotation, auto parts replacement, and more, we are your neighborhood one-stop shop for reliable auto maintenance and repairs. We've got free WiFi, shuttle and rental service, y hablamos espanol. And, we're open on Saturday. Get in touch today and schedule your next auto service appointment!